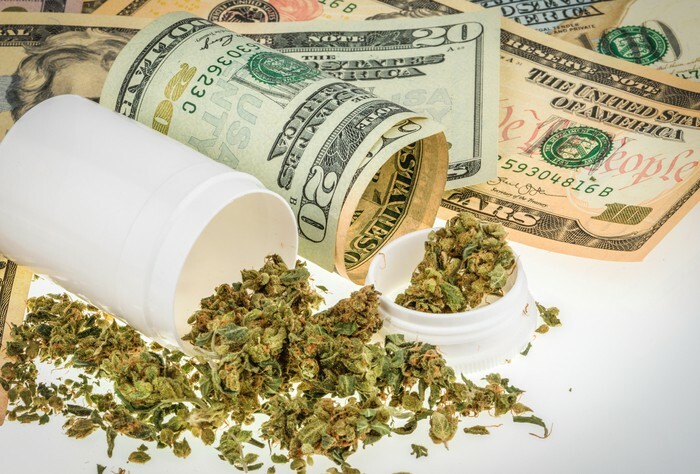 You might take one look at the stock charts of Hexo (NASDAQOTH:HYYDF) and KushCo Holdings (NASDAQOTH:KSHB) and instantly form an opinion of which is the better marijuana stock. Hexo stock enjoyed a big gain over the last year, while KushCo’s share price has dropped significantly. But stock charts don’t reveal what the prospects are for a business. And it’s those prospects, along with a company’s ability to capitalize on them, that truly provide insight into how good of an investment a stock could be. So with this in mind, which is the better marijuana stock? Here’s how Hexo and KushCo stack up against each other. Any discussion about buying Hexo has to start with the tremendous opportunity the company has in the Canadian recreational marijuana market. And any conversation about Hexo’s opportunity in Canada has to begin with the company’s home province of Quebec. But Hexo isn’t limited to its home province. The company secured supply deals with four other provinces as well, including the biggest prize: Ontario. Hexo gained another advantage in targeting the recreational marijuana market by landing Molson Coors Brewing (NYSE:TAP) as its partner in 2018. The two companies established a joint venture to develop and market non-alcoholic cannabis-infused beverages. Canada hasn’t finalized its regulations for cannabis edibles, including beverages, yet. However, Hexo should be in a good position to succeed when this potentially large market opens up with Molson Coors at its side. Capacity shouldn’t be an issue in holding Hexo back. The company’s existing growing space gives it the ability to produce 25,000 kilograms per year. Expansion efforts that are currently underway should soon boost Hexo’s annual production capacity to 108,000 kilograms. KushCo Holdings presents a very different set of opportunities than Hexo does. The company is the top supplier of packaging solutions to U.S. marijuana producers. KushCo’s products include a variety of containers designed for the cannabis industry, such as pop-top bottles, tubes, and vaporizer cartridges. This primary focus on the U.S. is a good thing for KushCo. The U.S. claims the biggest marijuana market in the world — a market that’s expected to soar to at least $22 billion by 2022. KushCo should be able to generate strong growth as the markets mature in states that have legalized medical or recreational marijuana and especially as adult vaping of cannabidiol (CBD) increases. Perhaps the most important expansion for KushCo isn’t geographic, though. KushCo’s acquisitions make it a player in other areas within the cannabis supply chain. The company’s Kush Energy subsidiary makes hydrocarbons and solvents that are used in extracting cannabinoids from cannabis plants. KushCo’s purchase of The Hybrid Creative puts the company in the business of providing branding, marketing, and e-commerce solutions for the cannabis industry. Hexo is one of the more attractive “second-tier” Canadian marijuana stocks. The company’s supply deal in Quebec and its partnership with Molson Coors give Hexo an advantage over most of the other marijuana producers near its size. Probably the biggest knock against Hexo, though, is that it’s behind several of the larger Canadian marijuana growers in expanding into international markets. Despite Hexo’s appeal, I think that KushCo has a greater growth opportunity. The U.S. market is much larger than Canada’s. Increasing popularity of vaping combined with a big new market with hemp CBD should provide tremendous tailwinds for KushCo. My view is that KushCo Holdings is one of the top marijuana stocks to buy in 2019 — and it’s a better buy than Hexo right now.